Note: ONLY FITS THE 12 PIECE FOLDING CARTON DESSERT TRUFFLE BOXES! See related items below. 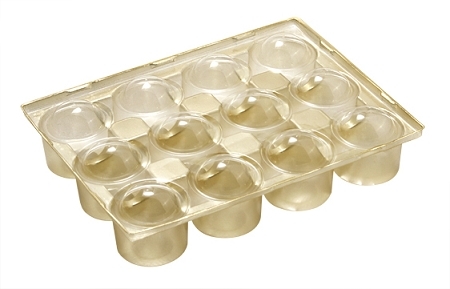 12 Piece Gold Dessert Truffle Tray & Guard.